A journey from strumming guitar in north America to the ragas of the ancient South Indian Veena. 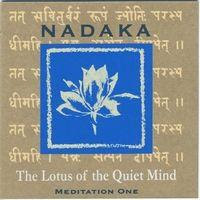 Nadaka as a childI was born on 4 January 1958, in Quebec City, into a fairly well-off family. My father was what I would call a conservative liberal, who had great faith in the Capitalist world. My mother was dedicated to family life, always active and cheerful and, with a somewhat rebellious nature, she subtly fostered disobedience. Each in their way encouraged us to see beyond the scope of our provincial borders, south to the States and across the ocean to Europe - in short, what most North Americans considered to be the civilized world, but no further. The youngest of five brothers, I enjoyed a life of relative freedom and happiness; however, my early annoyance with dictated structures made me a rather poor candidate for the establishment in which I lived.